This article refers to the Matricom G-Box Q which has a blue lit 'G' then powered. 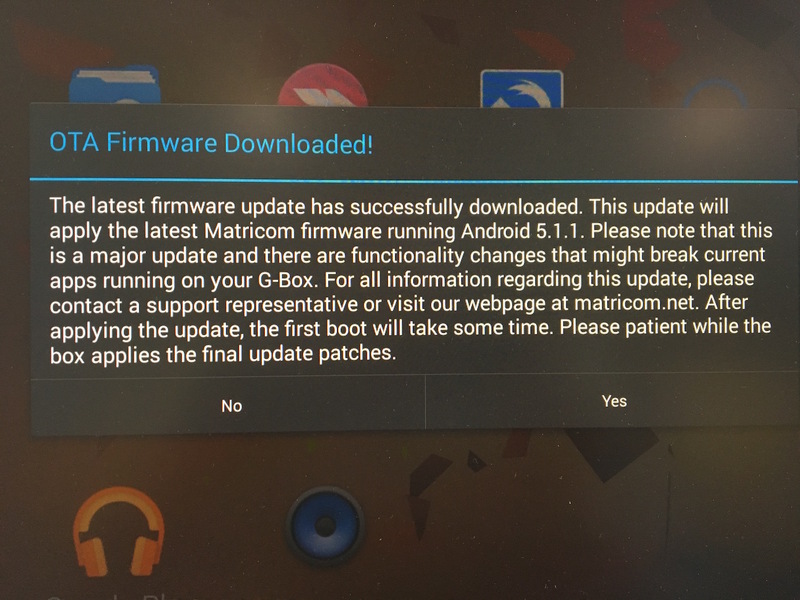 Matricom, maker of the G-Box Model Q has released an OTA (over-the-air) firmware update, Version 2.0, Android 5.1.1. "This update is very intensive and for that reason will require multiple steps to achieve the full upgrade. If you haven’t already, you will be prompted to update your device to the latest 2.0 update. 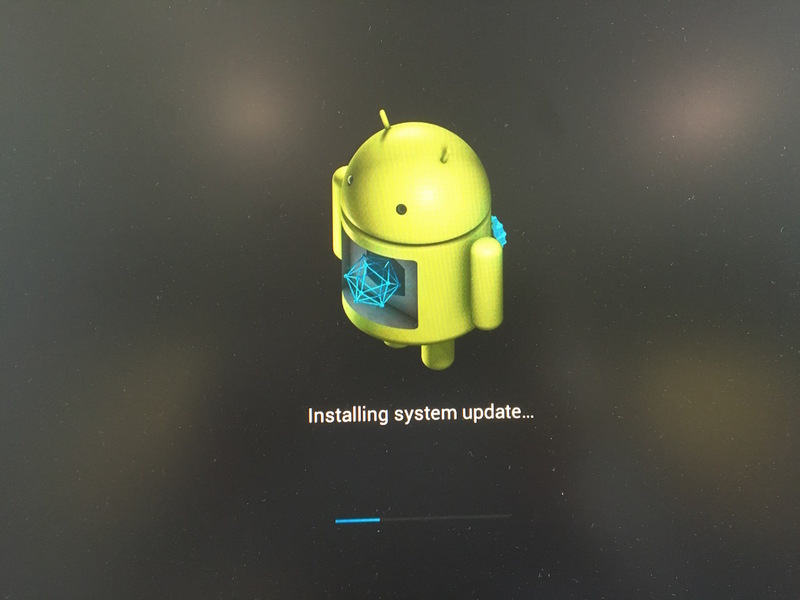 If you decide to take this update, your box will reboot and install the initial stage of 2.0, which includes Android 5 Lollipop. After the initial firmware update, your device will receive two more smaller updates to migrate the launcher data and update the apps that are installed on your device. This is phase two of the firmware update and will propagate to your device within 24 hours of the initial update. During this time your device may behave inconsistently. This is an expected part of the update as we roll out the necessary updates to your device." Since Matricom indicates that "your device may behave inconsistently" during the update process, the update should be attempted when it will cause the least operational disruption (overnight, weekend, etc.). If any issues occur during the update, please contact Matricom Support. Firmware availability message once downloaded. Again, you may want initially say "No" and perform the update when it will cause the least operational impact, or select "Yes" to proceed. "Installing system update" will generally take from 2 to 5 minutes. 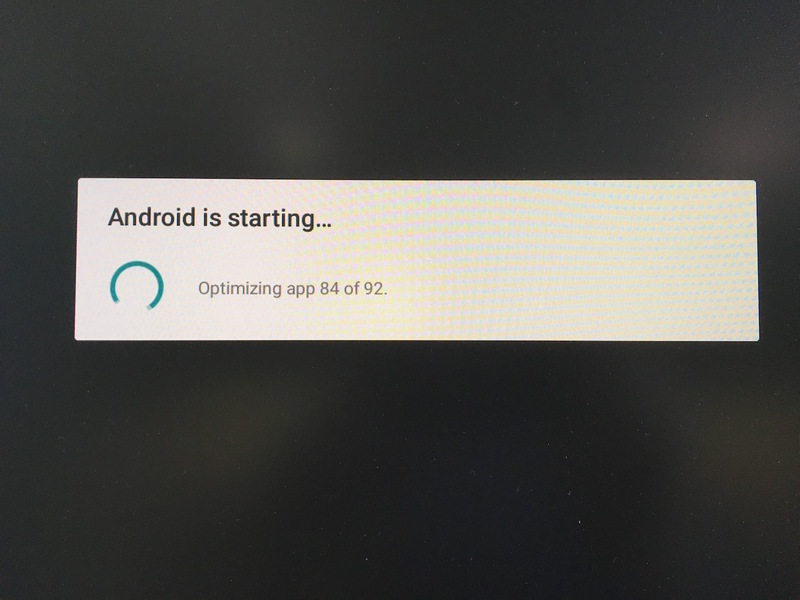 "Android is starting" will generally take 2 to 5 minutes. Once Android has started, Auto Start and Stay should launch the Urgentq app automatically after 2 minutes. The G-Box will likely require a few additional minutes to connect to the network, but if the "Unfortunately Google Play services has stopped" and "The device is experiencing Network issues" messages appear, then Wifi may need to be turned on in Settings. In Settings, Network settings can be found under the General heading. 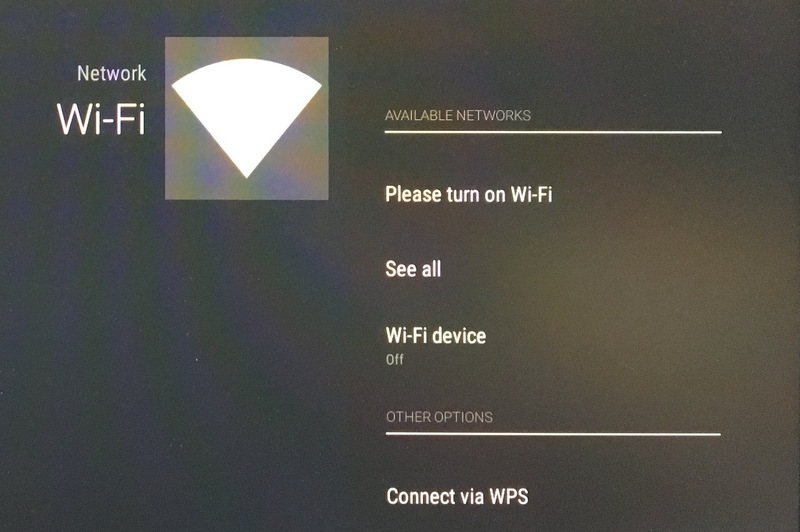 Once in Network settings, if Wifi is off, select the "Please turn on Wifi" option. 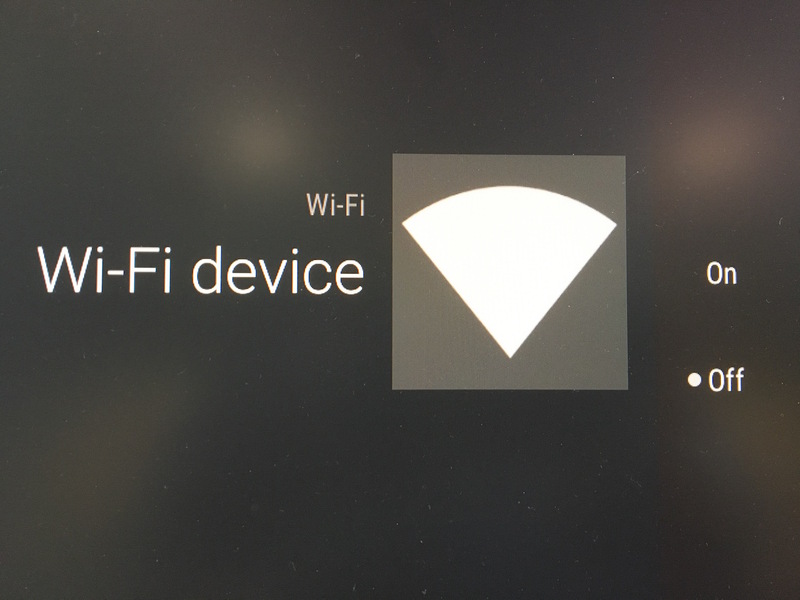 Select "On" to turn Wifi on. Navigate back to the UrgentQ app (either click the escape key on the keyboard or click the Home Button on the remote to get back to the main menu, then select All Apps, arrow down to the bottom row, then right arrow over to and select UrgentQ app) and the Wait Room Screen should now display. Once the G-Box has the firmware update installed and the Wifi is turned on, the device should operate as normal, though according to Matricom, "your device will receive two more smaller updates to migrate the launcher data and update the apps that are installed on your device," so it may briefly reboot itself in the 48 hours after the initial firmware update. 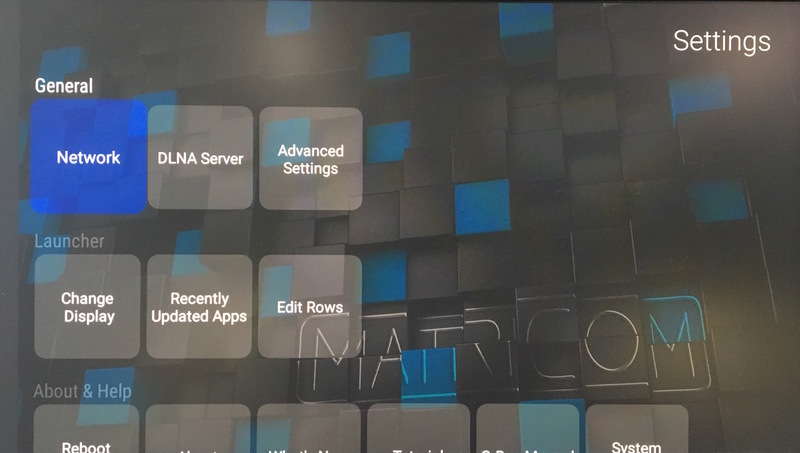 Upon reboot to install additional updates, or powercycle (turning the device off, then on or removing and replacing the power cable from the back of it), a G-Box with the updated firmware Version 2.0 will display a new Matricom logo briefly upon startup. 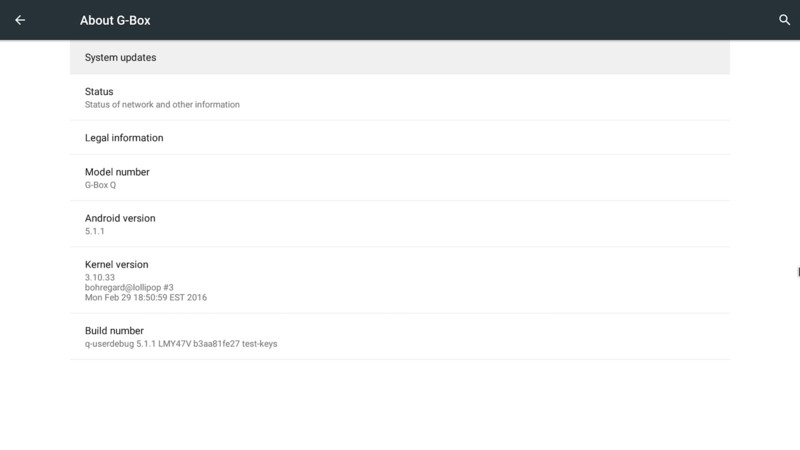 The Android Version 5.1.1 can also be identified in Settings > Advanced Settings > About G-Box.